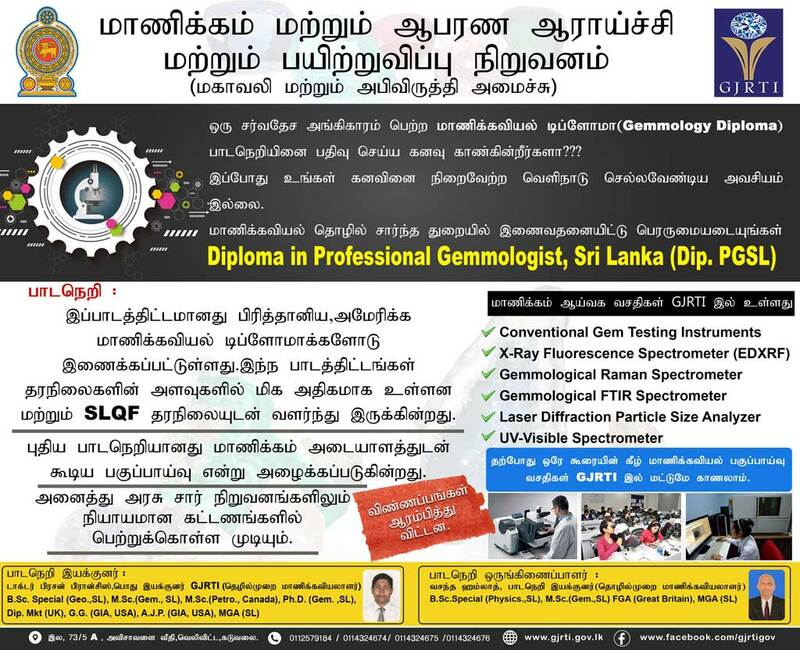 Gem and Jewellery Research and Training Institute (GJRTI) has been established in July 1995, under Section 25 (1) of the National Gem and Jewellery Authority Act. 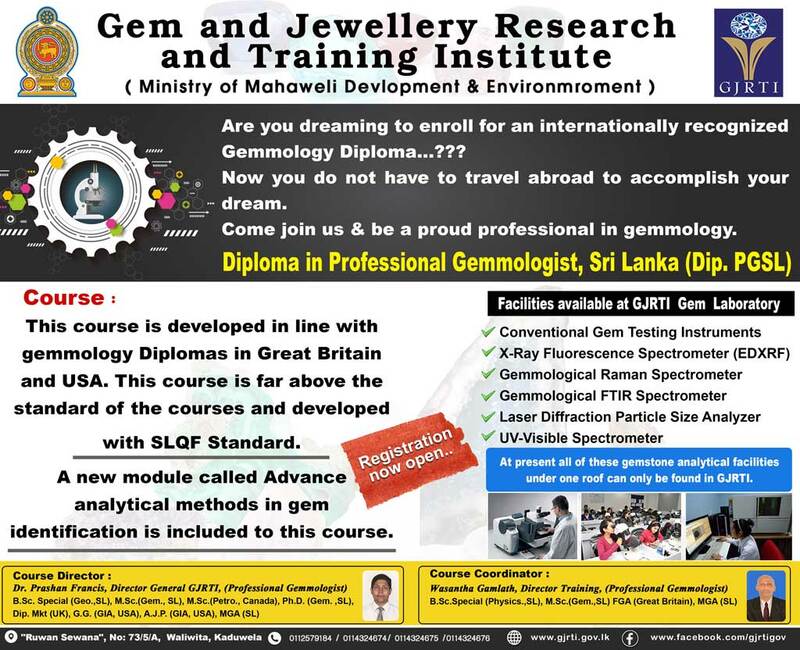 GJRTI is actively engaged in the business of providing Research and training services for the promotion and sustainable development of the Gem and Jewellery Industry. 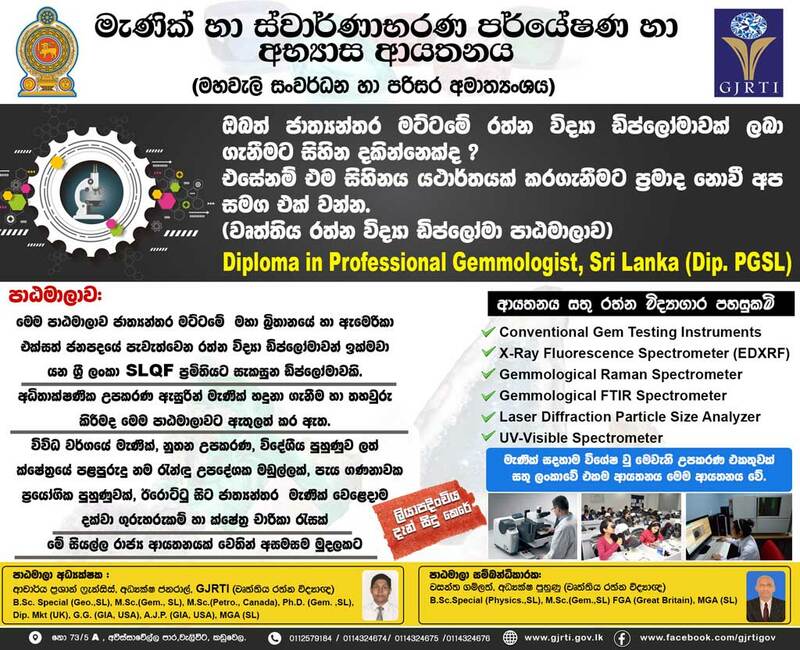 A book on “Value Addition of Sri Lankan Gemstones” was launched. 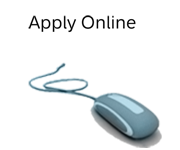 Copyright © 2017 Gem and Jewellery Research and Training Institute. Solution by Vitte.